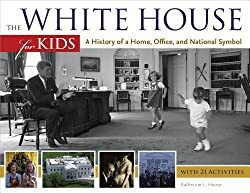 Booktalk: Have you ever wondered what it’s like to live and work in the most important house in the country, or what it’s like to grow up there? The White House itself has six levels if you count its two-story subbasement. It boasts 132 rooms, 35 bathrooms, and 12 chimneys. The president and his family live mainly on the top two floors. Only family members, invited guests, and employees have the privilege of seeing those floors. See more booktalks at the Booktalking #kidlit blog. Looks like another winner from Chicago Review Press. I love their activity books!